According to Jouji Yuno, Developer/Producer at Angel, the Game Boy game had sold unbelievably well. So well, in fact, that it had sold out throughout Japan (though going on sale the week before Christmas certainly didn’t hurt, I’m sure!). 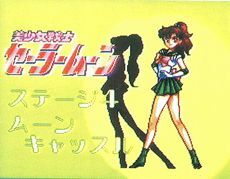 Though the team had done a pretty good job bringing the characters and world of Sailor Moon to life with the limited resources available to the Game Boy, they felt they were at their limits as far as hardware was concerned. 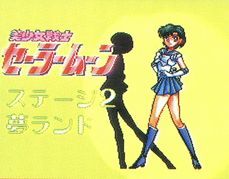 Further complicating matters was the fact that the original game had been sold with a primary focus on young girls (indeed, they advertised heavily in Nakayoshi and other manga magazines popular with young girls), but in order to sell on the Super Famicom – a system typically played on the family television in the living room and which had a large male user base – they wanted to try to appeal to a larger demographic. In order to do this, they made several important changes to the formula. First, they decided to make this new game less of an adventure, story-driven game like the Game Boy iteration and instead chose to focus on the side-scrolling beat ’em up1 genre, which was popular both in arcades and on consoles at the time. This also gave them the opportunity to allow a second player to join in on the play. Second, they made the decision to bring in members of the actual Sailor Moon anime production team to assist with the project. Yukihiro Kitano,2 a key animator on the anime, and Kazuko Tadano,3 character designer and art director of the anime, drew the poses and movements for the characters to give a more authentic look to the style. 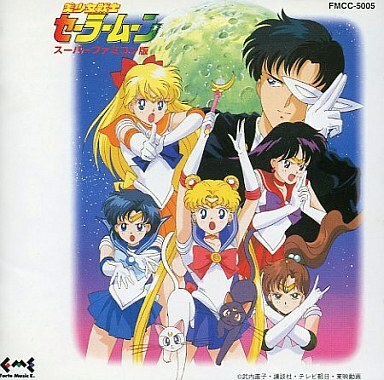 Takanori Arisawa,4 music composer for the Sailor Moon anime, also lent his talent to composing the BGM for the game. They were even able to secure the voice cast for the five Sailor Soldiers to record voice samples, which helped push it over the top in being a game adaptation of the anime. Last but not least, they were able to get Ms. Takeuchi herself involved in the game. She contributed unique youma designs to the game, making for all new enemies which were still authentic to the Sailor Moon universe. That’s all pretty impressive for a video game in 1993! The gameplay is probably where players are most likely to be divided, depending on what you feel about the side-scrolling beat ’em up genre. You basically choose a character, start the level, and slowly make your way from left to right and punch, kick, and throw enemies to progress. At the end of each stage you run into a boss, defeat the boss, and then move onto the next stage. The good news, though, is that the game developers seem to have put a lot of work into not only trying to balance each of the Sailor Soldiers, but to also try to give them a wider move set for fighting outside of their special attacks, taking – interestingly enough – inspiration from professional wrestling for their various moves. While I appreciate that they went through all the effort of making sure that each member of the Sailor Team has their own strengths and weaknesses, let’s be serious here: everyone will basically choose their favorite character, irrespective of what suits their play style. Let’s take a look at how they stack up, though. Sailor Moon: Average type. Speed, attack, power, defense are all average. Special attacks: Moon Tiara Action and Moon Healing Escalation. Sailor Mercury: Speed type. Attack power is lower than the others, but she attacks faster, which makes up for it. Special attacks: Shabon Spray and Water Stream. 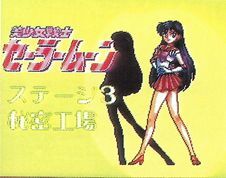 Sailor Mars: Attack type. Though her attacks may be slower than Mercury’s, she has a high jumping stat which allows her to move in quickly (and move away quickly) on enemies. Special attacks: Fire Soul and Ofuda Hurricane. Sailor Jupiter: Power type. She has a much higher strength stat than any of the other characters, allowing her to do more damage. Special attacks: Supreme Thunder and Flower Hurricane. Sailor Venus: All-around type. It’s hard to distinguish her from Sailor Moon, but it seems that they took a page from her being the leader of the Sailor Team and having experience as Sailor V and made her generally good at everything. Special attacks: Special Beam and Chain Spiral Attack. 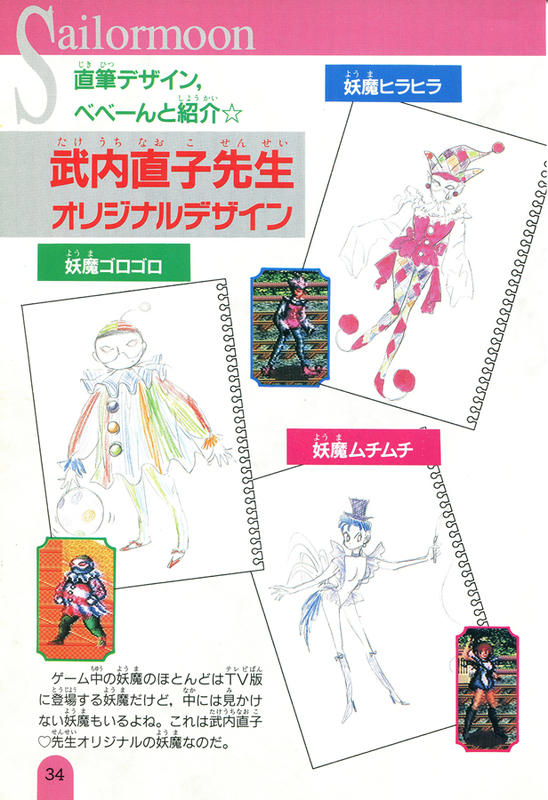 As you can see, most of the Sailor Soldiers have secondary attacks unique to this game, though I appreciate that they took the time to name them (and to name the other moves done by the characters, such as throws, though these only appear in the instruction manual). Read also: How Are the Oppositio Senshi in Sailor Moon Another Story Connected? As you move through the levels, you’ll occasionally find health pickups either from destroying parts of the environment or just lying on the street. This is par for the course for games like this, though one of the strategy guide writers makes an interesting observation on this, wondering aloud if perhaps it’s Tuxedo Mask who has been leaving cakes around on the street for the girls to find. Considering the other pickup is a rose, that may be possible! Your rank doesn’t really affect anything, though, so it’s not really worth thinking about too much. But for a game like this, where everything is riding on gameplay and replayability, something like this is nice since it gives you something to challenge yourself for and some feedback on how you’re playing. Unfortunately, this game doesn’t really have a story to speak of. Well, that’s a bit of an overstatement. The game really has absolutely no story at all. Start the game, choose your character, and off you go, whipping your way through the forces of evil. That’s not to say that this makes it a bad game, it’s simply par for the course back in those days and for this style of game. Each stage is broken up into two parts: the first part taking place in the “real world” generally inspired by the anime and the second part taking place in another dimension, presumably controlled by the Dark Kingdom. The game starts out, appropriately enough, at the Juban Shopping District. As one would expect, they do their best to fit in as many memorable locations from the anime as they can, including the Osa-P, Crown Game Center, and more. There’s a car at the end of the first section which you can destroy for an extra life. Because we all know that sailor suited soldiers of love and justice frequently destroy cars. The second part of stage 1 takes place in an alternate time and space dimension, which you enter through the clock shop. Once you get to the end of the stage you finally run into the boss, Bakene. After you defeat him, Tuxedo Mask will judge you (harshly?) and you’re off to the next stage! This stage is inspired by the theme park that appeared in episode 11 of the anime. More specifically, it seems to have taken a lot from the scene where Usagi, Rei, and Mamoru are riding the kiddie panda train, since most of the level takes place on train tracks. A train (operated by Train Conductor Panda himself!) regularly comes through on one of several tracks and can hit you, so you’ll need to watch out for that. Part two takes place in a house made of cake and candy, once again inspired by the dream world the youma sends the Sailor Soldiers to in the episode. Fittingly enough, the boss of this section is Murid. Rinse, get judged, repeat! It looks like it didn’t take long for the game to run out of places inspired by the anime, though I suppose I can’t really blame them since the vast majority of the episodes take place in and around Azabu-Juban. But still, would it have killed them to try to come up with something actually Sailor Moon-related rather than a stereo-typical factory with conveyor belts? Tokyo Tower, maybe? The second part of the stage has you riding a large freight elevator followed by more secret factory greatness. It’s altogether pretty disappointing, to be honest. However, the level ends in a batter with Imitation Sailor Moon (Zoisite in disguise). Once you defeat her, she’ll transform back into Zoisite who will then fade away and the stage ends. I’m not sure how I feel about this stage. While it’s nice that they went back to creating a stage that is based on something that appeared in the anime/manga, but I’m not totally convinced that the remains of the moon kingdom are all that memorable to fans from the anime. However, it’s a large improvement over the “Secret Factory,” so I guess I really shouldn’t complain. Part two of this stage puts you at D Point. It’s rather refreshing to be back somewhere that played an influential part in the anime, even if in name only. This is ultimately just an ice and snow-covered stage, but I’m okay with that. Out for revenge for your attack on Zoisite, Kunzite is the boss of this stage. You know the routine! In a similar vein as D Point, the level is named after a location taken directly from the series, though it doesn’t actually look like what little of the Dark Kingdom you see in the anime. It’s closer to a cave than anything else, but I do give the team credit for going back to follow the order of the anime here, even if Stage 1 goes complete against the rest of the flow of the game. Unsurprisingly, part two also takes place in the Dark Kingdom / cave system. Once you make it to the end, you have two boss fights in a row waiting for you – Prince Endymion followed by Queen Beryl. After you defeat the two of them, you’re done! I know I said that there’s virtually no story to the game, but you do get a nice little cutscene at the end of the game once you finish. It’s a nice feature at least! So what do I think of the game? Well, I actually really enjoy it. 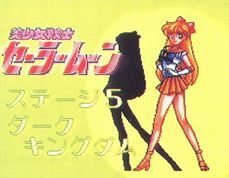 When I first discovered it nearly 15 years ago, I remember playing it with my older brother late in the night while talking about different theories about the Sailor Moon universe – probably the inspiration for this blog, actually! As odd as it sounds, I actually kind of wish that they didn’t go through the effort of giving each Sailor Soldier their own strengths, since it’s always a shame when your favorite character doesn’t match how you play and you need to choose someone else. While it would have been nice if there was a least a brief cutscene or story before and after each stage begins, that’s obviously beyond the scope of a game like this and would break up the action, so I can’t really fault them. In short, I’d absolutely recommend this game to anyone, especially if you can play it with a friend! ← Why Did Mimete Call Eudial a Snail Lady? Be interesting to see what they could do with today’s technology. Though I think the series lends itself better to say, an RPG format rather then a brawler. Maybe something in the vein of ‘Another Story’ perhaps? You could split it up to cover the five arcs, or have an original story altogether. The ability to create your own customized team with complimenting individual skills would be a nice feature. The fact of the matter is that the Sailor Team only really fight one big battle a day, so it feels really forced to have them fight against hordes of enemies. And that’s saying nothing about how bizarre it is to watch Ami pull off wrestling-style moves, but that’s neither here nor there. 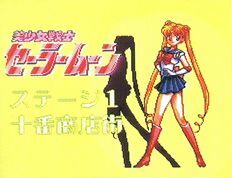 Unfortunately, the rest of the Sailor Moon games generally fall into the pattern of being a Sailor Moon themed game without really having anything to do with the character depth in the series. The one-on-one fighting games, puzzle games, and even Sailor Moon Drops are good examples of this. Another Story was a great game, though. I’d absolutely love to see a game similar to that (or even a re-translation someday, to be honest. I have problems with the one we have now…) that possibly either dealt with the later seasons or even just the first season. I think the best style of gameplay, though, might be a point-and-click story adventure game. Something story driven and that takes you through trying to solve the mystery of why people are having their energy stolen, maybe.